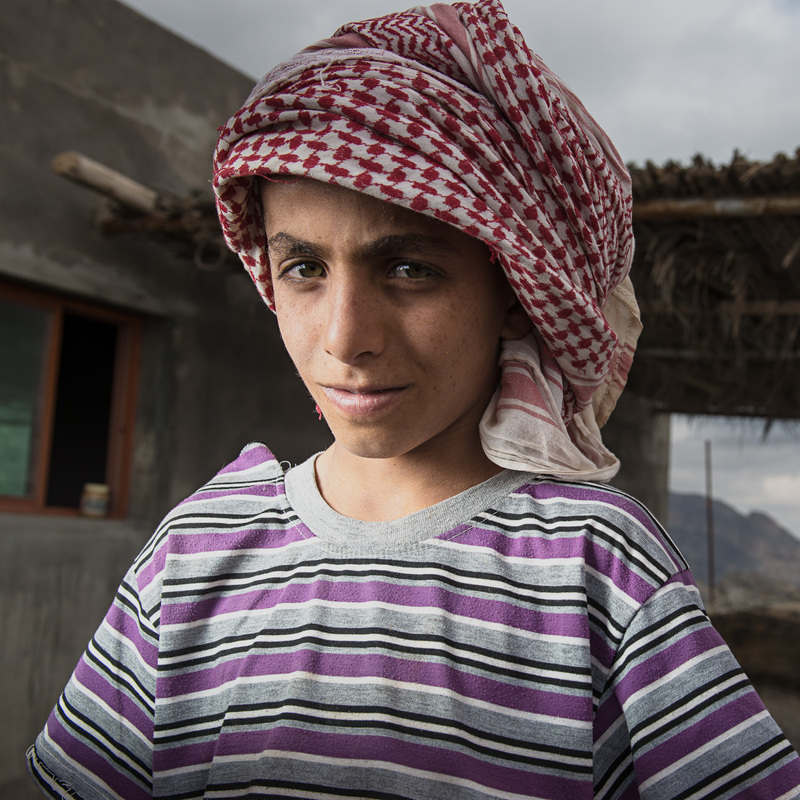 Waleed lives in Jabal Shams, I asked him to pose for me for a few photographs while he was helping his brothers on their home garden. I spent the whole morning trying to write something about this portrait and decided to leave it you to tell me what you think. A friend raised an idea about photographing Waleed 10 years from now, some how this blog post would act a reminder for me to do so. Your picture is superb since the subject has naturally stood there and just looked on.